"Stop being a good girl! Start living the life you want!" 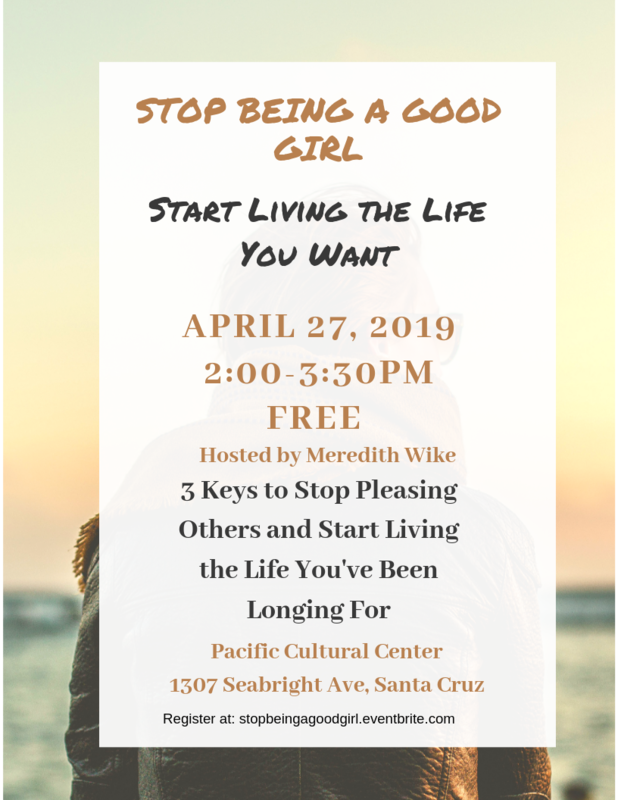 In this FREE talk you will learn three strategies for bringing more fulfillment and satisfaction into your life and walk away with committed action steps to start making it happen right away. Bio: Meredith Wike holds a masters degree in counseling, is a Board Certified Behavior Analyst and certified yoga instructor. She has been helping people live and access more fulfilling lives by teaching communication, connection and life skills for the past 13 years through her work as a behavior analyst and therapist. She is a seasoned yoga teacher and student having studied yoga, meditation and movement practices for almost 15 years. She's an adventurer and traveler. She's also a recovering people pleaser.